The department has provided this site as a resource for the citizens we serve. It is our goal to provide our citizens, businesses, and visitors with the highest quality police service. We are hopeful that the information provided here will be useful and will enhance your understanding of our agency and the types of services we provide. It is our goal to keep you informed and connected! 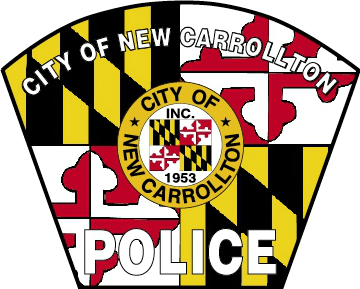 The Mission of the City of New Carrollton Police Department is to safeguard life and property, preserve the peace, prevent and detect crime, enforce the law, and protect the rights of all citizens. We are committed to working in partnership with the community to identify and resolve issues that impact public safety. We are committed to conducting ourselves in a manner that brings honor to the Department, the City, and ourselves. We are committed to respecting the individual rights, human dignity and the value of all members of the community and the Department. We are committed to providing the highest quality of law enforcement to the community with the goal of enhancing the quality of life within New Carrollton. The City of New Carrollton Police Department will be known for its community service, its effectiveness at preventing crime through community involvement, and for providing its residents a safe living and working environment. Our enforcement actions will be based on respect for individual rights as well as our commitment to protect the safety of all persons within our community. We will strive for professionalism and integrity by maintaining high ethical and performance standards. Our policies and procedures will be designed to give simple, clear guidance to all personnel. We will encourage and support technological advances along with training and professional skill development to enhance our effectiveness at fighting crime. The Department will remain committed to a cooperative team effort between all divisions. We will encourage and provide support for employees to be proactive and flexible in identifying problems and solutions within the Department and the community we serve.